REGISTRATION DAY – SEPTEMBER 8th!! The end of summer is near and here at The Whole School staff are getting ready. Registration day is Tuesday August 8th between 9am and 2pm. Our first day of school will be Wednesday September 9th. If you have any questions about registering your children for this year please contact the School Coordinator, Tues-Thurs 8:30-4pm. 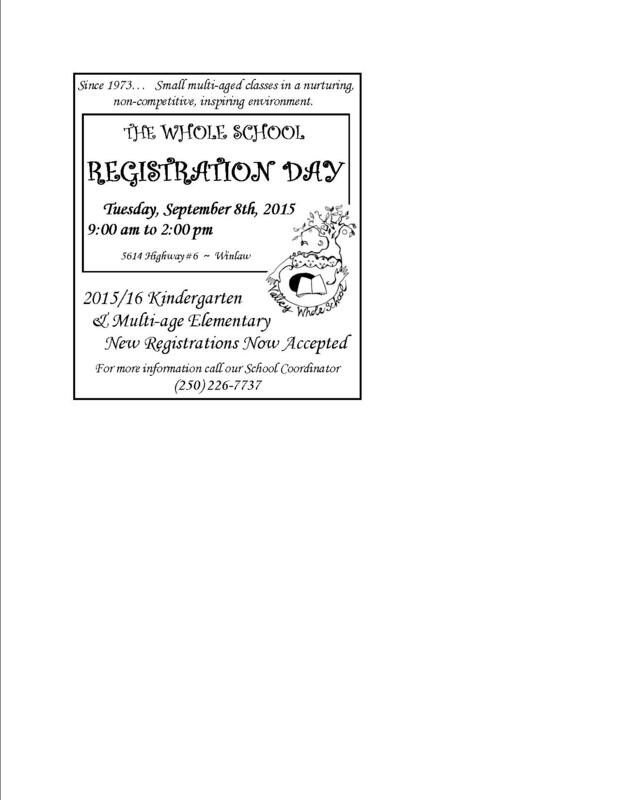 You can also email us at wholeschool@gmail.com with any questions.